Anyone who has read this blog may have some understanding of the struggle I personally have with journaling. Writers are constantly advised to journal their lives, to note down conversations overheard, or thoughts experienced and bombarded by quotes, author interviews and pictures of famous writer’s diaries left for posterity. All telling us that we should be journaling, or keeping a writer’s notebook. This week is Journaling Week on this site. Through the week I will preview a few journaling systems and thoughts, beginning with this brief introduction. Any journaling effort feels like a “waste of words” to me – if I spend too much time diarising my day or thoughts, or free-writing in the morning to “warm up” I find I lack words when it comes to fiction progression. I can tend towards the melancholy and over-analysis also, whereas writing fiction actually helps me be happier. I’ve attempted morning pages, free-form writing, dump-pages, warm-up exercises and prompts, sticking to a certain time, bicfok, daily logs, writing logs, photo-a-day apps, using templates, doodle diaries, physical diaries, list diaries, the lot – and none have become a regular habitual routine for me. What I’ve realised and now accepted into my life is that writing out journal-type entries on a daily basis or keeping a must-use writer’s notebook is neither fun or profitable for me, no matter what format. I want my legacy to be either my fictional works, or the many photo albums I create for my family (which include journaling of the best times we want to remember). But practice writing, in a writer’s notebook of some type also has benefits. Despite my lack of a daily habit in journal writing, I maintain writing logs when in big writing projects, I jot down doodles and observations of everyday life as I see fit, I have a huge research database of interesting-to-me stuff (via Evernote) and I take a lot of photos on mobile devices. I also have a proliferation of writing journals for various tasks in the writing process (See another A-Z post of last year which discusses the many different types of writing journals, and also points out the differences between extroverts and introverts in journaling likes and dislikes). So, in many ways, I do journal. And of course, a lot of my life – at least writing life – is documented through this blog. Blog writing is a big basis of my life, and takes up huge word outputs (more on this later this week). With the many apps and tools available now, I find motivating myself and finding time to journal or document my life or thoughts is much faster and easier now. This week I’m devoting the blog entries to posts themed to journaling. 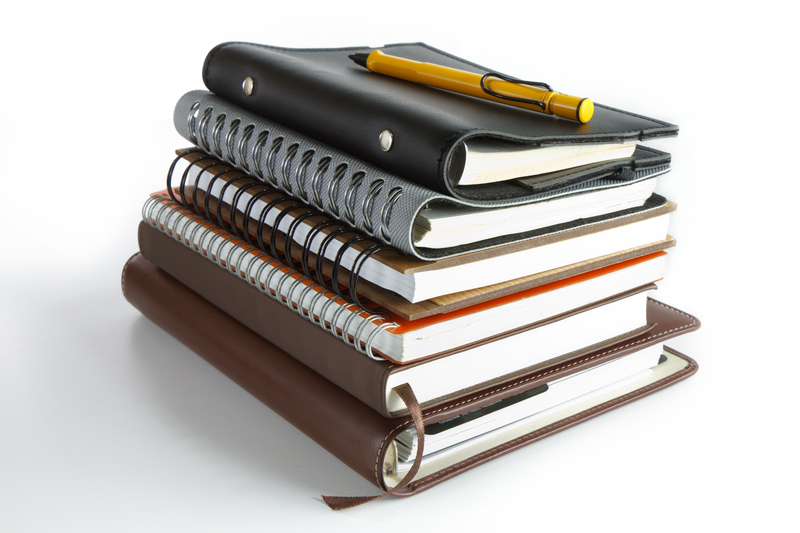 Tues: More on Keeping a Journal (of any type) and the Benefits.